Brett first met Charlie in college and has been mad for him ever since. Following separate adventures along the way, they are married and have a beautiful baby girl, when Charlie is violently murdered. There is a clear suspect: Charlie’s brother Eli, a frequent psychiatric patient and Brett’s former best friend. But Brett knows that it might not be that simple, considering the recent challenges to their marriage. The novel’s opening stars the murder but then rewinds as Brett considers how she’s gotten to this point. Along the way, she’s encountered broken hearts, betrayals, the breaking and forming of families, psychological drama, financial strain, and the arresting beauty of Cape Cod. A literary thread unites the plot, as Brett is the daughter of two English professors (she’s named for a character in The Sun Also Rises), and is herself a PhD candidate and an Emily Dickinson specialist. Each section of this story opens with an appropriate stanza from the poet’s work. Eli’s mental illness is riveting, heartbreaking, and brilliantly evoked, but Brett has her own troubled background as well. Charlie, the absent focus of the novel, remains an enigma; handsome and charming, he’s left a number of broken lives in his wake. Several less central but equally compelling characters, including Brett’s ex-fiancé and his sensitive uncle, round out de Gramont’s stellar cast, in various upper-class and academic settings. The time line of The Last September is slightly unusual, consisting almost entirely of one big flashback, but its pacing is lightning-quick, and the plot twists are continually engaging. De Gramont’s writing style disappears into the background as the story itself comes alive; the dialogue is realistic, so the characters feel imminently present. 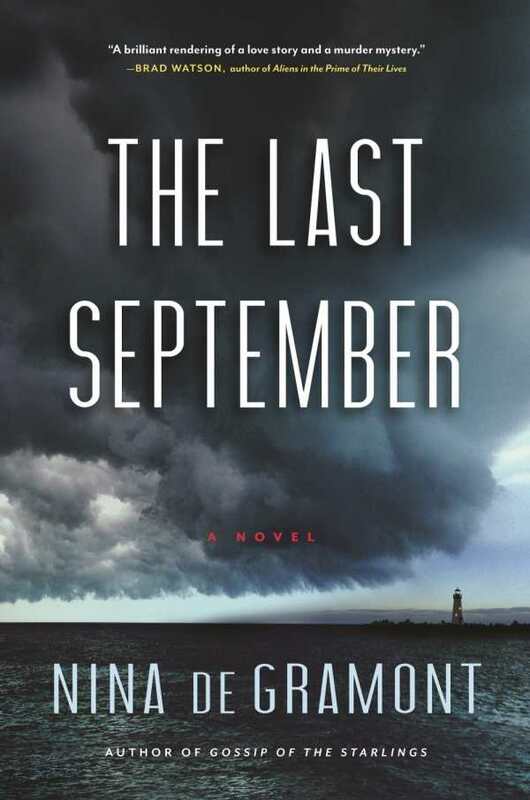 The Last September is a murder mystery as well as a drama of family and mental illness.